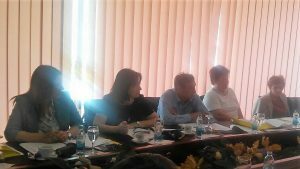 The working group related to the “Transparent and Accountable Public Enterprises in B&H – TAPE“ Project, composed of representatives of public enterprises from Republika Srpska and the Federation of B&H, relevant entity and cantonal ministries, representatives of the National Assembly of Republika Srpska, the Parliament of the Federation of BiH, together with Eda project team, and in cooperation with the Transparency International BiH, held a meeting in Banja Luka on May 24, 2018. 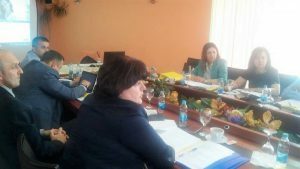 The working draft of amendments to the entity Laws on Public Enterprises and the Regulations which regulates transparency of financial relations between public companies and local government units, cantons (in the Federation of BiH) and entities, were discussed at the meeting. All members of the working group and other participants of the meeting actively participated in the discussion on the above-mentioned amendments, providing valuable suggestions that the proposed amendments in certain segments should be further elaborated in order to significantly improve transparency of work of public enterprises. It was agreed that comments and suggestions should be incorporated into the texts of the amendments, and that such text should be re-submitted to all members of the working group, before submitting a proposal to the relevant authorities and stakeholders. 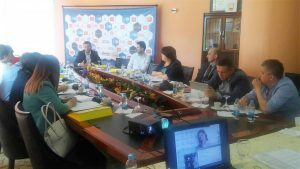 These amendment drafts would be presented to participants of the joint workshop / round table consisting of 10 partner public companies (5 from Republika Srpska and 5 from the Federation of BiH), the project team members and guests. That will be an opportunity to, at a relevant event, including larger number of stakeholders, additionally discuss relevant amendments. 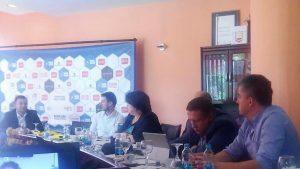 The working group believes that the amendments would provide significant contribution to the precise definition of necessary scope of transparency in work of public enterprises in BiH, as well as to the ways for achieving the transparency.